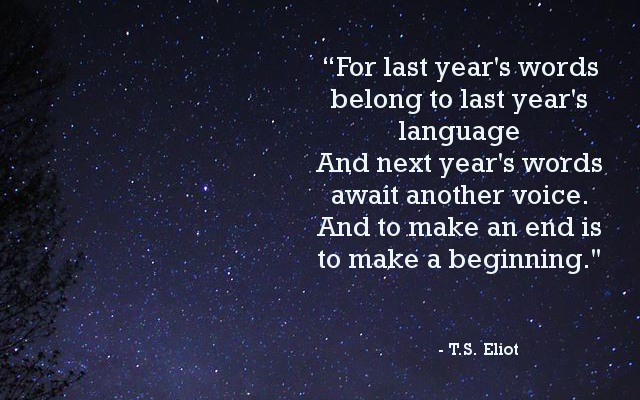 This Monday Musing is devoted to the impending new year. I hope that you have all had a wonderful festive season, and are looking forward to an equally fantastic 2015. 2014 has been a year of changes for both me personally and for The Book Habit, and the new year promises to bring even more. Regardless of what this year brings to you, I hope that you will walk into it with positivity, kindness, and plenty of books. The Book Habit will, of course, continue reviewing all types of literature, as well as many aspects of the literary lifestyle. I want to thank you all for your support (and patience) throughout 2014, and I look forward to passing 2015 with my wonderful readers. Great quote! Looking forward to 2015!